Have you ever heard of Toyota? Yes it’s that Japanese car company legendary for revolutionising the way manufacturing is done through Six Sigma and Jidoka, or the “automation with a human touch” principle of the Lean manufacturing approach, among other things they’re known for. If you’re not in the manufacturing industry then these words may seem alien to you but if you’re ever planning on engaging in business even if it’s not in the production business these are still good principles to learn of. Now lean production is, in a nutshell, the method of minimising waste without sacrificing quality to increase efficiency. And one of the ways Toyota did that is by utilising Andon lights in their manufacturing process. Long ago, Andon meant “paper lantern” in all of Japan, but today in Toyota factories and most other manufacturing companies’ assembly lines all over the world, Andon lights refers to a signal system used for status-display of each manufacturing station. Andon lights are also known as stack lights, indicator lights, or tower beacons. 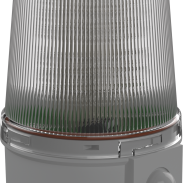 To ensure that the production goes smoothly, manufacturers on the assembly line would use the tower beacon, like the STC Series shown, to inform their team leader or the supervisor in charge of what is going on in the manufacturing floor by lighting the Andon light color that corresponds to their station’s status. This is especially helpful if abnormal conditions are discovered so that appropriate action can immediately be undertaken. During the manufacturing process, tower beacons work almost like a traffic light does as the assembly line would come to a stop or keep going depending on what Andon light colour is lit. And just like traffic lights, Andon lights typically come in a tri colour setup of red, amber, and green; generally having the same meaning as well. Although they are mostly used in three colour stacks, Andon lights can also range from just one red stack light to up to five stack light colours. The commonly used colours and their meanings are: RED is for emergency stop, AMBER indicates warnings to the machine such as over-temperature or over-pressure conditions, GREEN means normal machine operations, BLUE means a request for external help, such as maintenance personnel assistance or a request for raw material, and the WHITE light represents user-defined conditions specific to a machine which is often related to productivity monitoring. Tower lights are often mounted in conspicuous places and must be seen from at least so that the team leader would immediately be alerted. The simple yet most important use of Andon lights lies in being able to catch manufacturing mistakes in time as this system allows for real-time communication and problem solving which is essential for manufacturing efficiency as well as the manufacturer’s safety. The lesser downtime due to undetected problems and delayed responses there are, the more the company profits due to increased productivity. Most Andon lights come in the five colours separately which would then be stacked together according to the manufacturing process’ needs, such as our Modular Stacking Beacons. 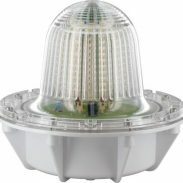 But we also offer ready-built tower beacons that come with ready-connect cables for simple installation like the IP65-rated Static LED Micro-tower Beacon which is 32mm in diameter, and is just perfect for manufacturers’ convenience. It also comes with a smooth exterior for easy ‘wipe-down’ when cleaning. It does not need any high maintenance and its power consumption is low which means that the STC Series Micro-tower Beacon is ideal for all types of multi-status signalling in all kinds of factories, offices and community buildings. All units also feature UV-stabilized polycarbonate lenses, available in five different colours of Red, Amber, Green, Blue, and White.